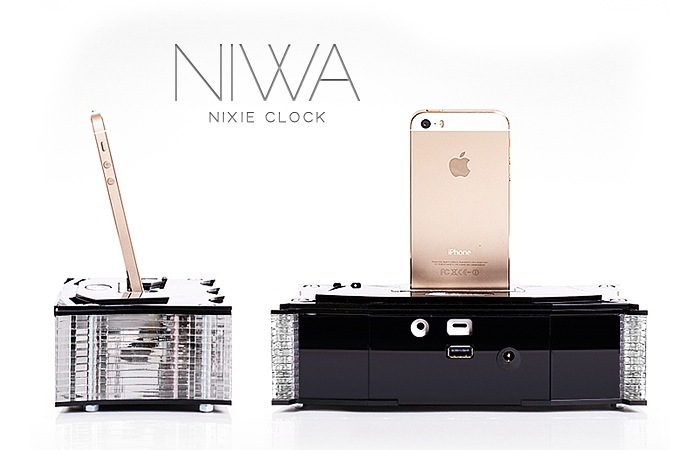 iPhone 5 owners looking for a dock that is a little different from the run-of-the-mill iPhone docks currently available on the market, might like this new NIWA Nixie clock iPhone 5 dock created by Yauheni Artsimouski and Dzianis Obukhau. 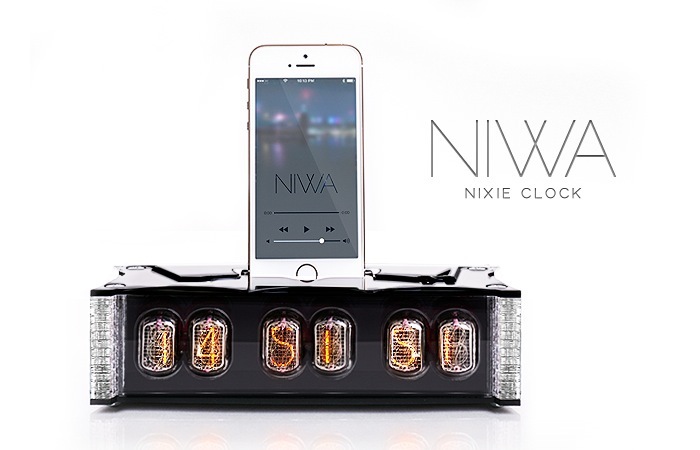 The NIWA incorporates a retro-styled nixie clock whilst also offering a modern iPhone 5 and iPhone 5S docking station for Apple’s smartphone device. Check out the video after the jump to view the NIWA dock in 360 degrees and learn more about its features. “NIWA is a classic/modern Nixie clock with vintage/modern technologies. NIWA — modern trends and classic shine. We’ve an interest in products which use vintage/modern technologies. The NIWA nixie clock iPhone dock is now looking to raise $15,000 from the Kickstarter crowd funding website with prices for the dock starting at $329.